In 2017 ELDH, with members in 20 countries, already choose to focus its activities on the endangered lawyers in Egypt. 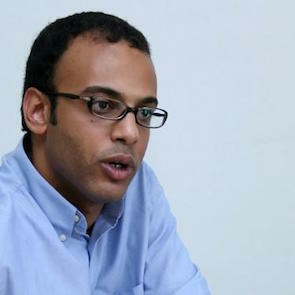 Many human rights organizations, among them Amnesty International, Human Rights Watch, IDHAE, and the International Commission of Jurists confirm that the Egyptian authori-ties have moved beyond scaremongering and are now rapidly taking concrete steps to shut down the last critical voices in the country’s human rights community. Egypt is going through the most serious human rights crisis in its history. Every day security forces arbitrarily displace 3 or 4 people (AI Secretary General, 18 Dec. 2016). 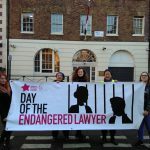 In 2018 the focus of all activities concerning the Day of The Endangered Lawyers will entirely focus on Egypt. These activities are organised and supported by many lawyers organisations and Bar Associations all over Europe. Lawyers are requested to show their solidarity and to participate in these activities. 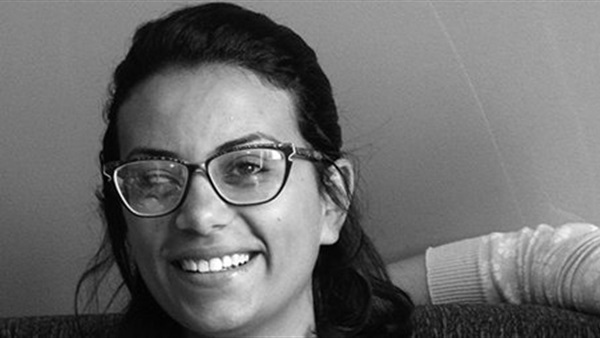 Today in Egypt, human rights activists, lawyers, and journalists, all have to live with their phone calls being tapped, and with intimidation and threats from the authorities. 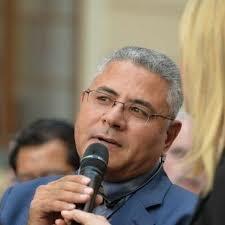 After the overthrow of President Mohammed Morsi the human rights situation has deteriorated dramatically. The government has restricted severely freedom of expression, freedom of assembly, and freedom of association. The authorities have taken harsh actions against dissidents, ten thousands have been arbitrarily arrested, and many of them tortured during custody. Security forces that killed demonstrators have not been held accountable. After harsh unfair trials, hundreds of people have received prison or even death sentences. 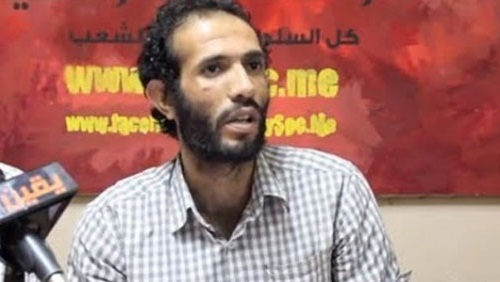 Victims of this persecution include not only alleged members and supporters of the Muslim brotherhood but also any other opponents to the present government, in particular alleged members of left organizations and human rights activists. 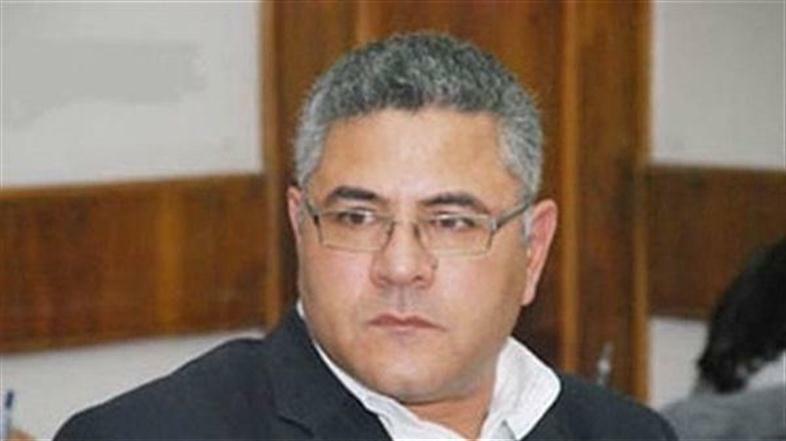 · Nasser Amin, lawyer and director of the Arab Centre for the Independence of the Judiciary and the Legal Profession in Egypt, as well as the Chairman of the Complaints Committee of the quasi-official National Council for Human Rights. · Mohammed Azmy, Nubian lawyer and former president of the General Nubian Union, a recently founded movement based in Aswan promoting the Nubians’ right to return to their ancestral land. 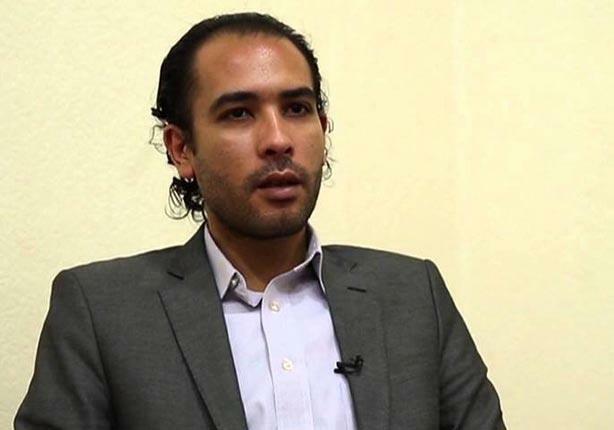 · Ibrahim Metwally Hegazy, is a human rights lawyer and the co-founder and coordinator of the Association of the Families of the Disappeared. 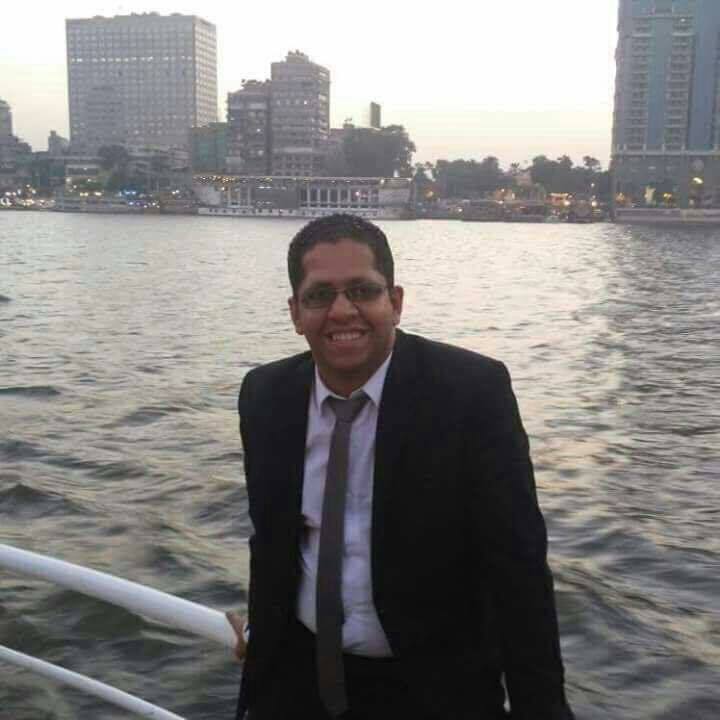 · Tariq Hussein, a 24-year-old human rights lawyer recently kidnapped and unlawfully incarcerated by police for five weeks. 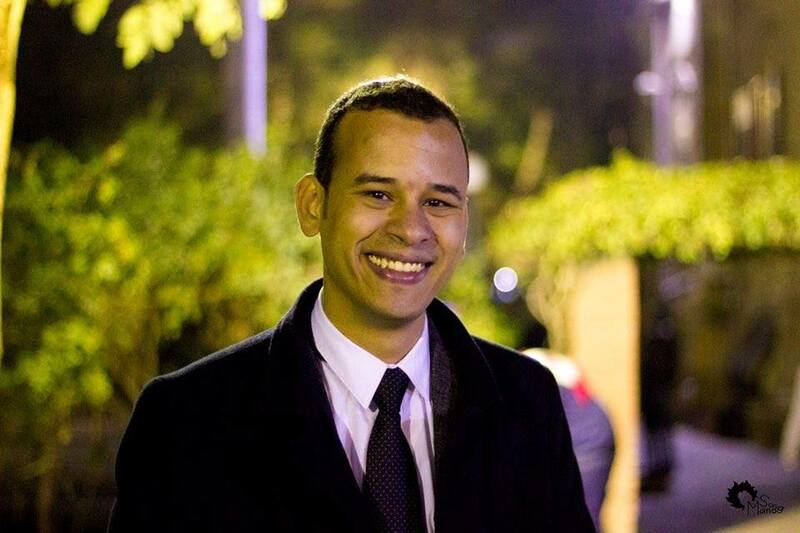 · Haitham Mohamedein, labour lawyer. 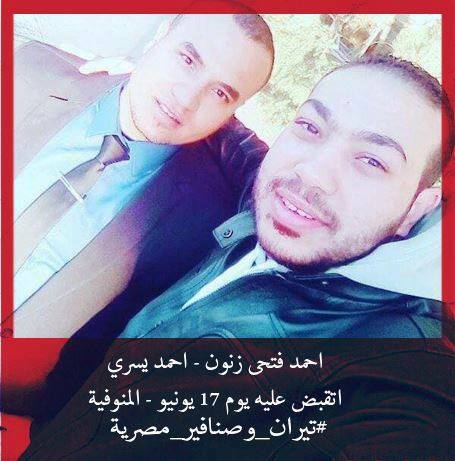 After nearly six months in pre-trial detention he was released from Al-Saf police station in Giza, after the court ordered his release on 10 October 2016. 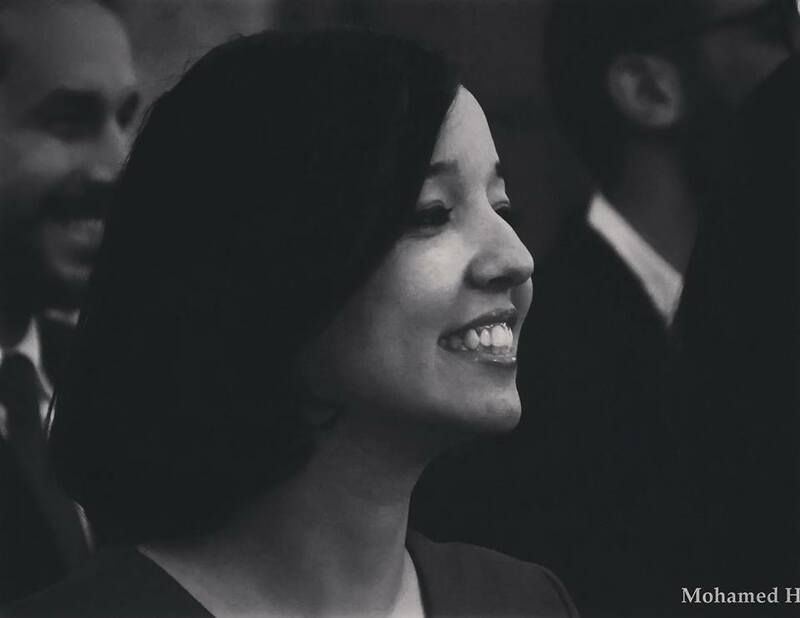 · Asmaa Naim and Mohammed Ramadan, In Alexandria, lawyer Asmaa Naim (lawyer at the Egyptian Center for Economic and Social Rights), lawyer Mohammed Ramadan and four other lawyers were referred to the trial on the background of the lawyers’ meeting before the Manshiyeh Court during the discussion of the Tiran and Sanafir Agreement on 13 June 2017. 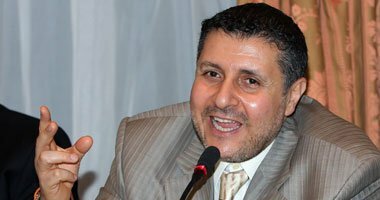 · Mohammed al-Sharqawi, lawyer, datained on charges of publishing false news and of belonging to a terrorist organisation. 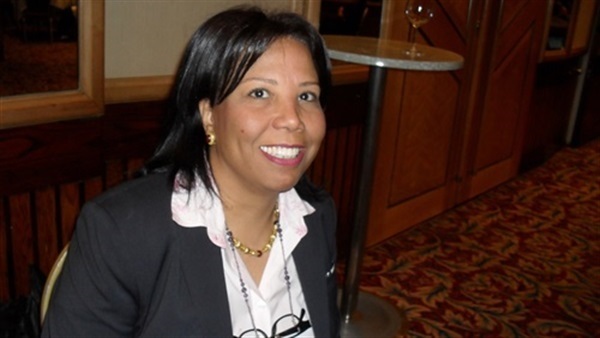 · Azza Soliman, Cairo, a lawyer and leading women’s rights defender. 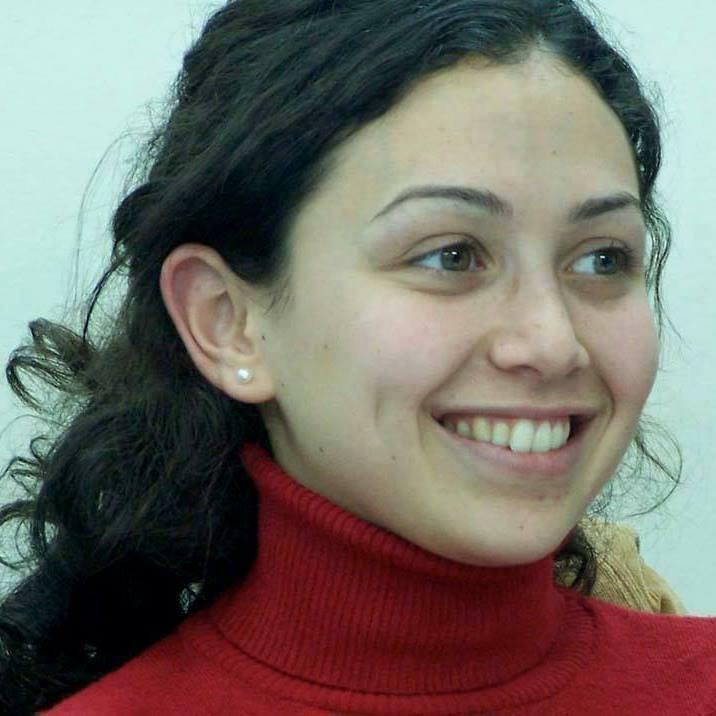 She was arrested, because she had born witness against police officers, who shot a demonstrator; and because the centre for the legal aid for women which was co-founded by her allegedly received financial support from abroad. · Art. 16. Governments shall ensure that lawyers ( a ) are able to perform all of their professional functions without intimidation, hindrance, harassment or improper interference; ( b ) are able to travel and to consult with their clients freely both within their own country and abroad; and ( c ) shall not suffer, or be threatened with, prosecution or administrative, economic or other sanctions for any action taken in accordance with recognized professional duties, standards and ethics. · Art.18. Lawyers shall not be identified with their clients or their clients’ causes as a result of discharging their functions. 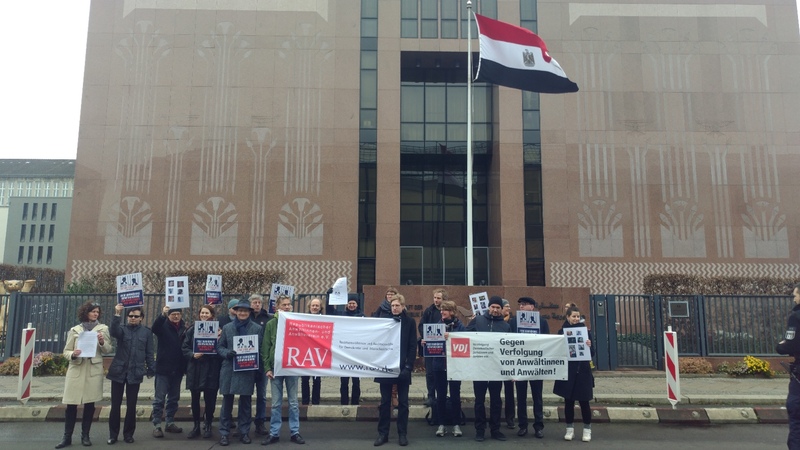 Ensure in all circumstances respect for human rights and fundamental freedoms in accordance with international human rights standards and international instruments ratified by Egypt. 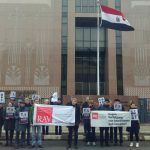 Egypt should abide by its March 2015 pledge at the conclusion of its Universal Periodic Review before the United Nations Human Rights Council to “respect the free exercise of the associations defending human rights.” This should include allowing groups to register under a new associations law that parliament should draft following consultation with independent groups, and which should abide by article 75 of the constitution, which protects groups from interference by the government. The law should comply with international standards on freedom of association. 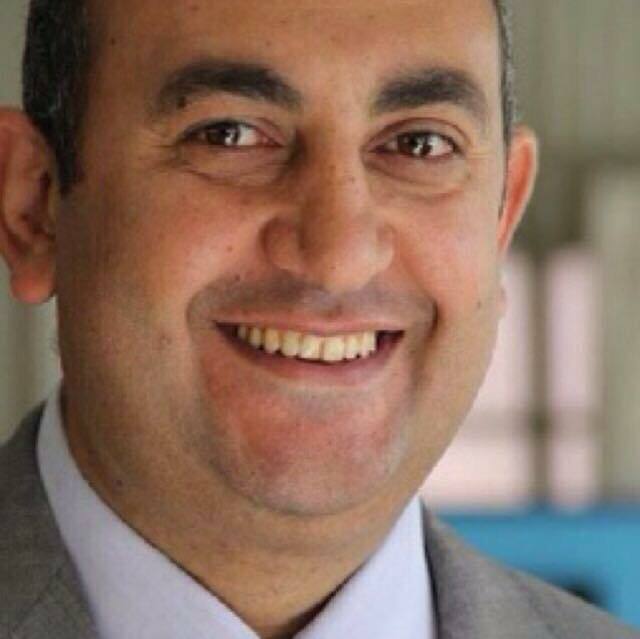 The Human Rights Council and its member states should condemn the current crackdown in Egypt and demand concrete measures to improve respect for fundamental human rights. It also requests the European Union to exert pressure upon the Egyptian government by economic sanctions, in particular the discontinuation of arms supply, in order to make it respect human rights. Under no circumstances must there be a refugee agreement similar to that with Turkey because neither Turkey nor Egypt are safe third countries. 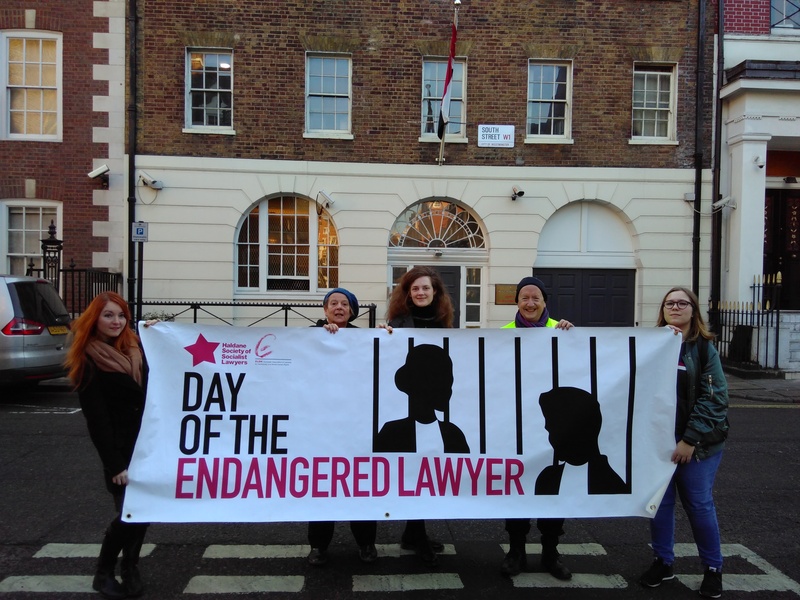 The international coordination for the Day of the Endangered Lawyer is in the hands of Day of the Endangered Lawyer Foundation supported by IAPL, ELDH and AED. It is supported by many other lawyers organisation and Bar Associations all over Europe and outside Europe. · Florence de La Pradelle, Avocat au Barreau de Bruxelles. AED commission defense for the defense. · Thomas Schmidt, lawyer in Düsseldorf and Secretary General of the European Association of Lawyers for Democracy and World Human Ritghts ELDH. · Hans Gaasbeek, lawyer and director of the Day of the Endangered Lawyer Foundation in Haarlem: http://dayoftheendangeredlawyer.eu/ and president of the Dutch League for Human Rights.